Even by train, it’s more than half an hour from Tokyo hubs such as Shibuya or Shinjuku. Cherubim is located in a residential district of Machida, a city to the west of central Tokyo. I take a cab to the workshop from the nearest train station. “I’m going to Cherubim, the bicycle maker. You know it?” I tell the driver. “Ah, the famous place?” comes the response. And it’s not just Machida taxi drivers. 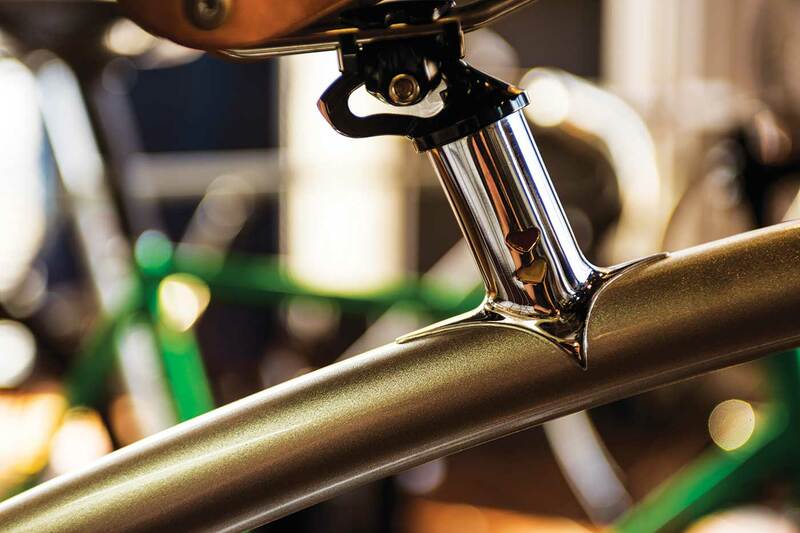 Cherubim is a name known by bicycle enthusiasts and craftsmen around the world. 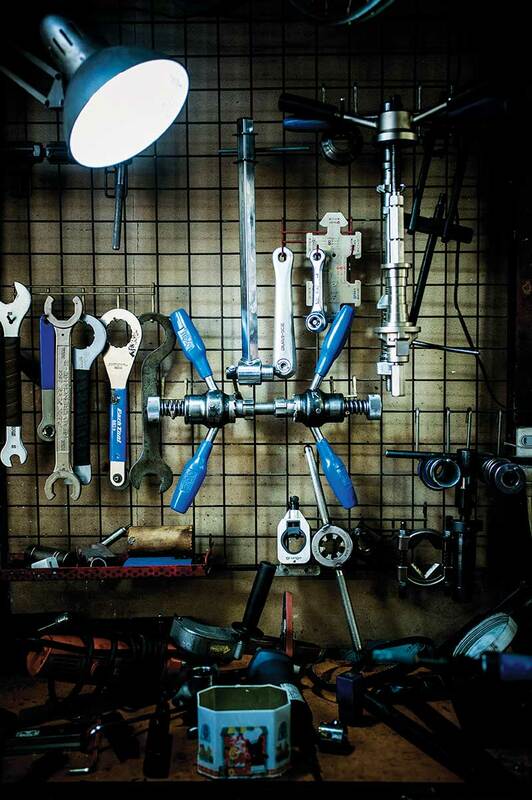 Being around bicycles from childhood, and watching his father work, he found himself thinking, “Yeah, I’ll probably follow in his footsteps.” He started helping out in the workshop when he was around 20 years old. This is why his workshop today is constantly evolving with new tools and materials. “You can’t just keep doing things the same way. If there’s some new material available, I try it. If there’s a good technique, I try it out.” As Konno notes, if his father Hitoshi was building frames in the workshop as it is today, he probably couldn’t make a thing. Konno doesn’t stick to conventions. When Konno first started working, the prospects for the bicycle industry were less than bright. The chromoly steel then commonly used for bike frames was hard to come by. People around the world were beginning to use new materials, including aluminum and titanium. 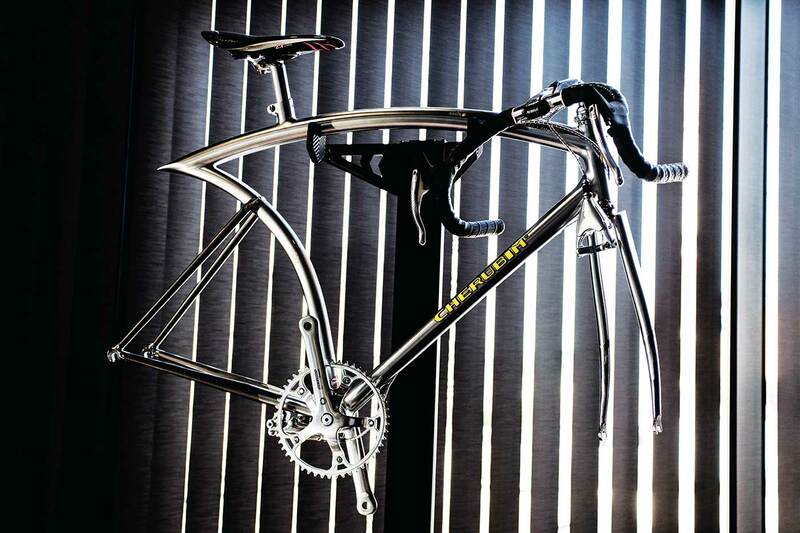 Even brands like Cherubim weren’t making much in the way of racing frames. It was a time of little activity. Given the way things were going, Cherubim even tried its hand at consumer sports bikes for a while. And in his father’s day there was no storefront. Frames were built in the workshop and then sent off to the customer. But Konno was intent on selling finished bicycles, so he acquired a retail space. 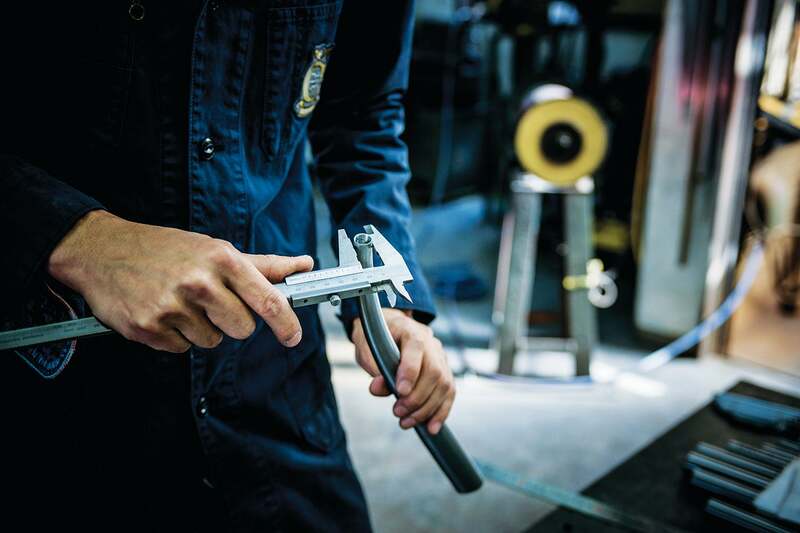 As it began offering products like a line of high-performance bike frames, the Cherubim brand gradually transitioned from his father’s vision to the son’s. Unconditional confidence through craftsmanship. 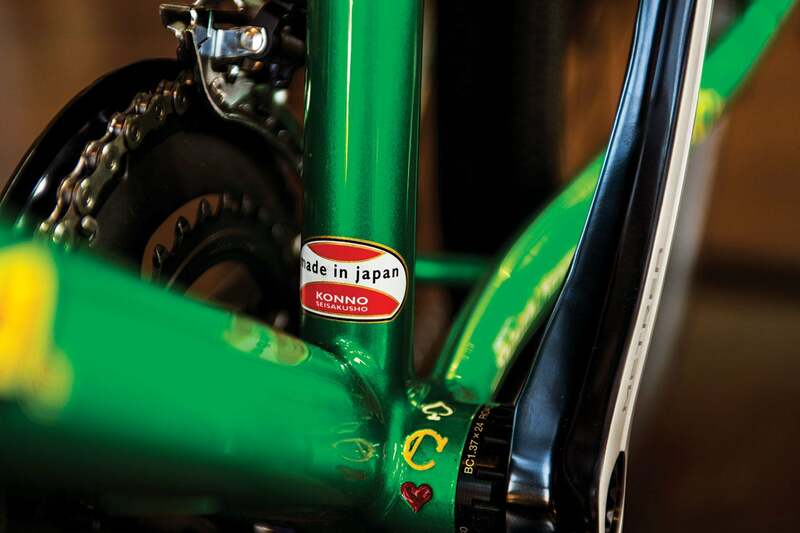 It came from building frames for keirin track racing, which was developed in Japan. 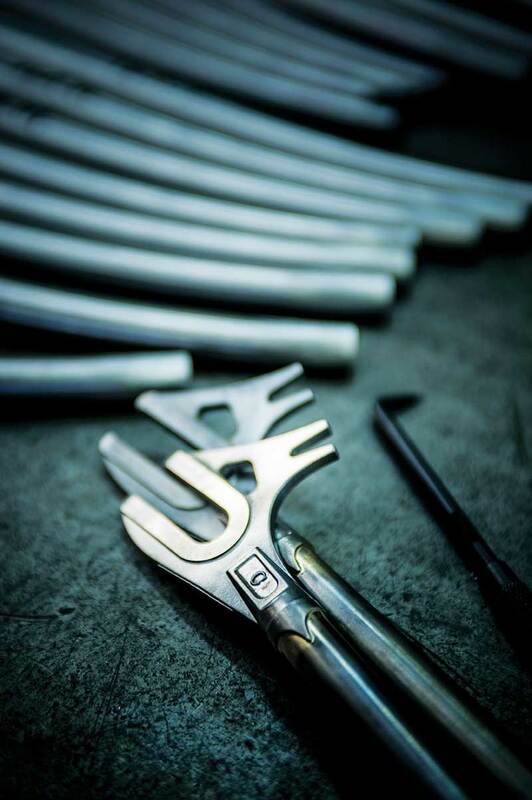 Hand-built frames shape the capabilities of its competitors. A tiny discrepancy could render a bike unusable. 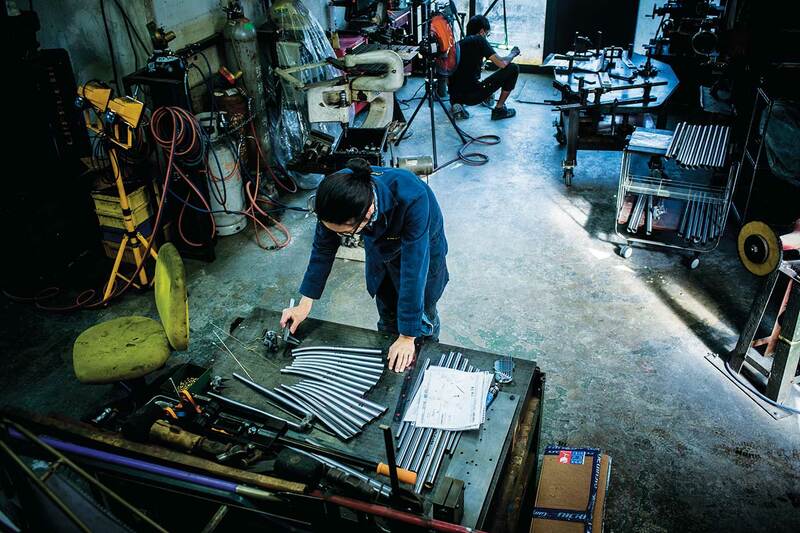 The degree of precision in Japanese manufacturing is worthy of pride. But Konno says meeting specifications is nothing special. 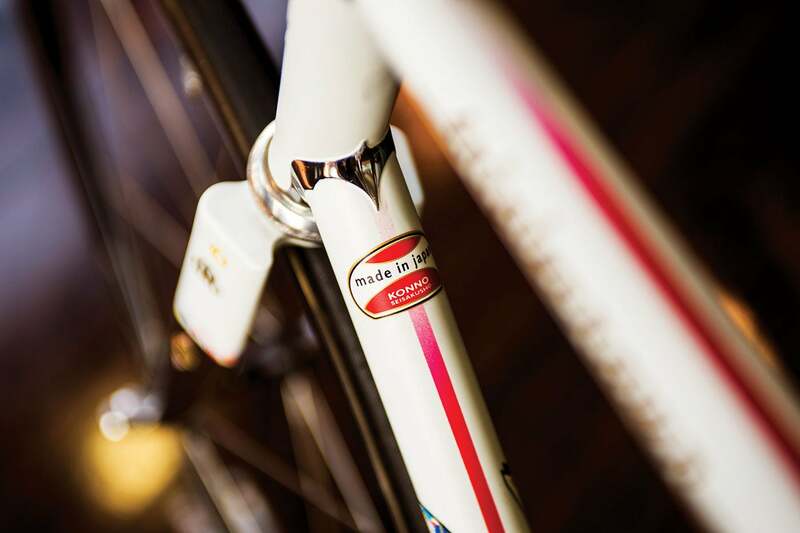 It is the product of the combined precision sensibilities of bicycle builders and pro cyclists. The best keirin cyclists stand to earn prize money on par with Major League Baseball players. And they aren’t tied to endorsement deals for the bicycles they ride. Which means if they’re dissatisfied with a frame they ordered from Cherubim, they can easily ride another brand. And if they don’t take their equipment seriously, they can’t achieve the results they want. In the racing world, where victory is a clear measure of ability, the cyclists and the builders have raised the bars for one another. Konno is particular about a number of points. When he receives a shipment of tubes, he uses ultrasound to measure the tube thicknesses for any variations. He adjusts them little by little, making them thinner or thicker. And, essential to a frame, there’s the welding. He says the stiffness of a finished frame varies according to the welding gas used, propane or acetylene, and its additives. So, he uses the appropriate blowtorch as requested by the cyclist. 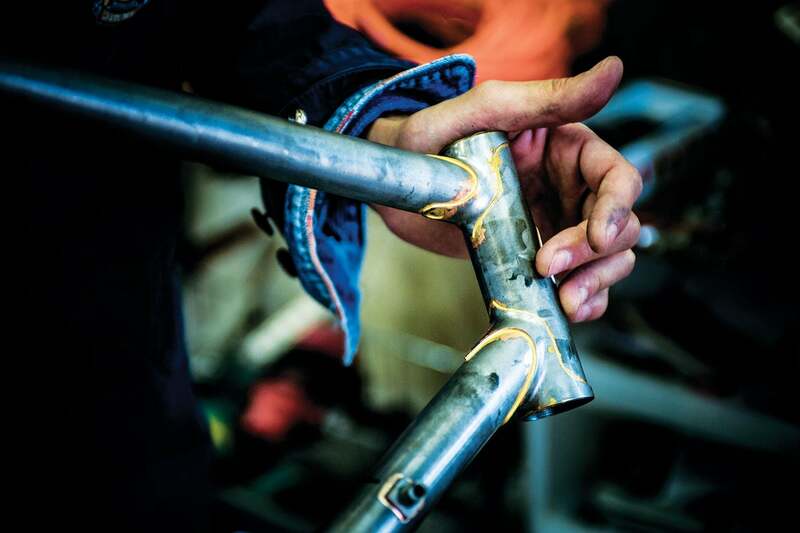 There are as many as 30 companies building competitive racing frames in Japan, most of them exclusively for keirin. 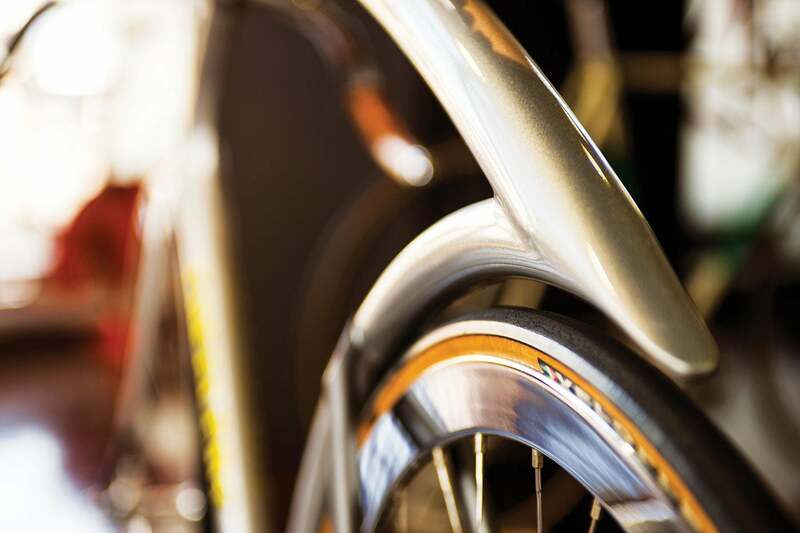 Cherubim is unusual in that it also builds concept bikes and bikes for the general public. Which means you get that much technical expertise in a consumer bicycle. The time consumed by a job is surely shown by people going “Let’s get this done!” in the final stages. Through two centuries, the fundamental design of the bicycle hasn’t changed much. But this shape wasn’t the invention of some solitary genius. It embodies the skills and wisdom of many. That’s why bicycles are efficient; there’s nothing unintentional about the design. 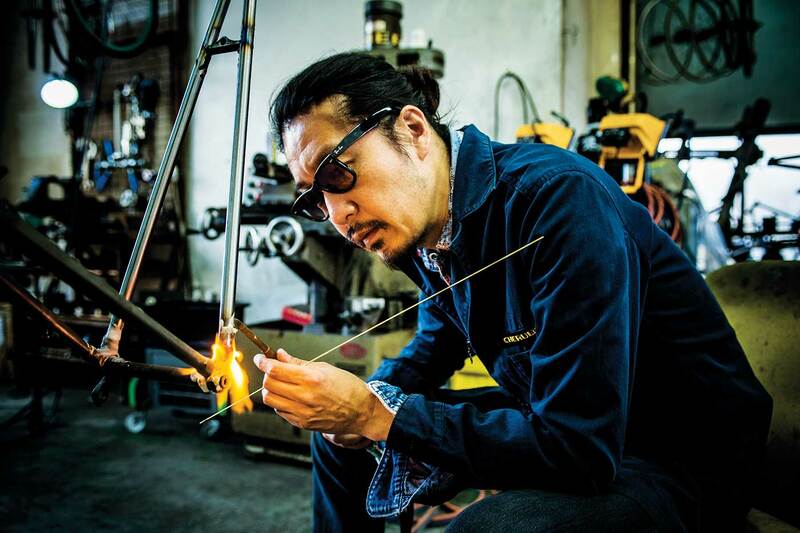 Despite the international brand recognition, Konno says he plans to remain a hands-on craftsman. Increasing the precision with which orders are met, rather than inventing something from scratch. Back in the day, a local bicycle shop was a place that would adjust your bike to fit you better. With bicycles, that fit is essential. It’s the same with wearing shoes that don’t fit, no matter how fancy they are. Still, there’s not one correct answer to meeting the needs of individuals, especially demanding cyclists. But with each interaction, the precision and the quality improve. This is Cherubim’s and Konno’s endless journey.